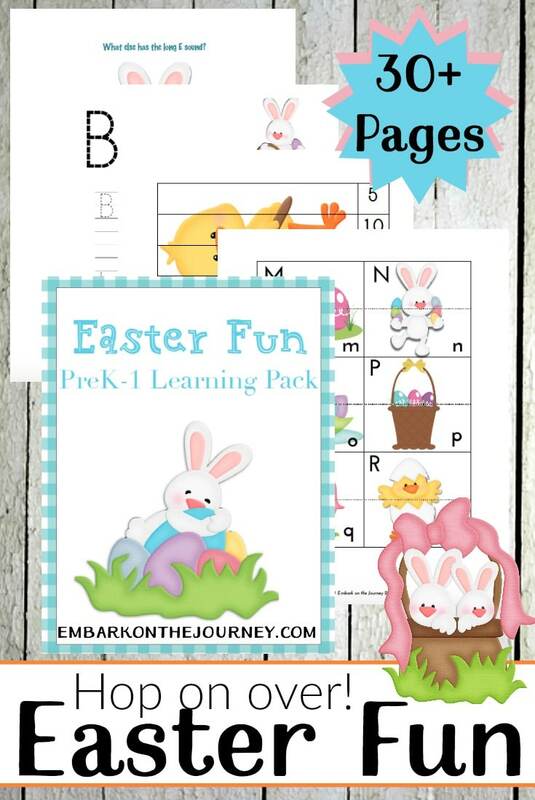 Hop on over to Embark on the Journey to snag this Free Easter Fun Learning Pack. This pack contains over 30 pages of fun for kids in grades PreK-1! You’ll find ABC pages, counting pages, handwriting pages, coloring pages, and so much more.